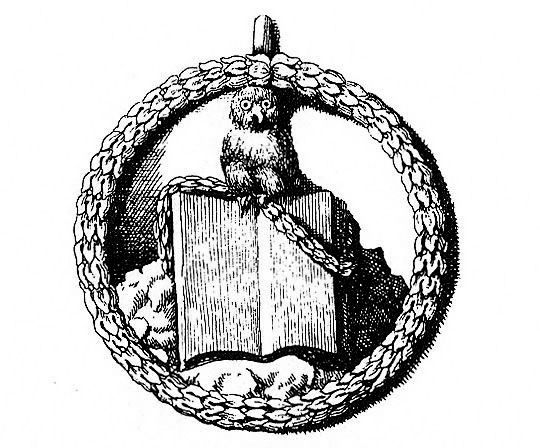 Mike Jay's piece says this is the original insignia of the Bavarian Illuminati: the owl of Minerva, symbolising wisdom, on top of an opened book. Minerva is Athena, one of the three goddesses competing for the golden apple in the Judgment of Paris. 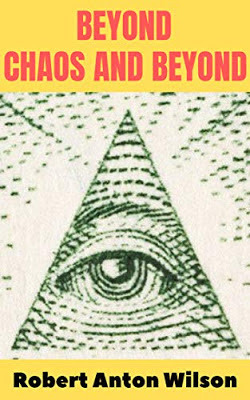 Proofs of a Conspiracy by John Robison, a seminal document in the "Illuminati paranoia" cult cited in Memo #12 of Illuminatus!, gets a writeup in an excellent article by author Mike Jay. The piece has some very good illustrations, too. Some familiar names pop up in the piece and in the citations. The article appears in the Public Domain Review, "an online journal and not-for-profit project dedicated to promoting and celebrating the public domain in all its richness and variety." 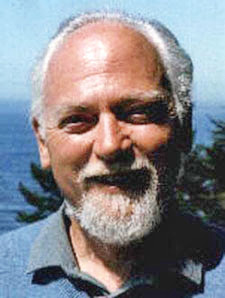 I admit I was not familiar with Mike Jay, but he seems to be an interesting writer. His official page is here.